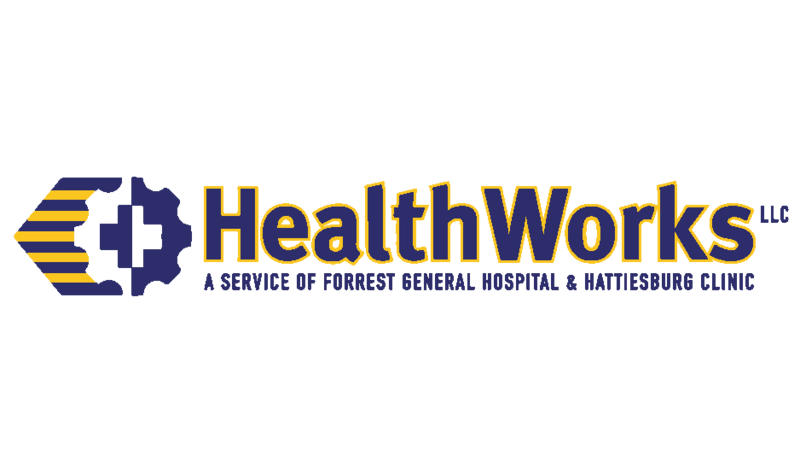 Hattiesburg Clinic offers a network of occupational health and safety services coordinated through HealthWorksLLC, a service of Forrest General Hospital and Hattiesburg Clinic. This department is focused on providing comprehensive diagnosis and treatment of work-related illnesses and injuries and offers various health programs to meet a company’s individual needs. Additionally, arrangements can be made for on-site screenings, immunizations, and health promotion (wellness) programs. Board-certified, residency trained family medicine and emergency medicine physicians provide the primary services of this program. These primary care providers are supported by more than 150 specialty physicians, including orthopedic surgery, physical medicine and rehabilitation, pulmonary medicine and infectious diseases.